A wonderful trek through a psychiatric nightmare. The Dark Meadow is in some respects a cross between BioShock and Infinity Blade. You play as an unnamed patient who sets off through a creepy psychiatric hospital to destroy a witch while unraveling the secrets of both his past and the facility. 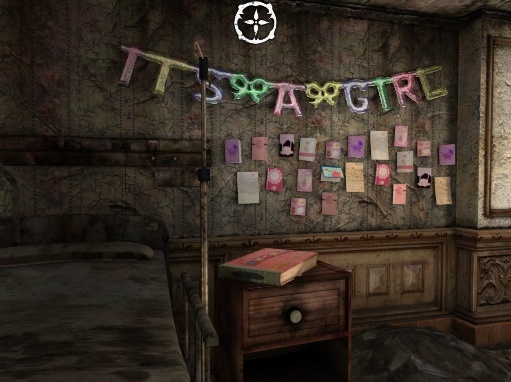 The twisted story unfolds through newspaper clippings and other documents lying around, as well as a strange man (hence the BioShock reference) that communicates from an unknown location. As you explore the spooky hallways, various monsters appear, and the developers at Phosphor Games break the combat into two parts. The first involves using a trusty crossbow, where you pull back, aim and fire arrows into the twisted abominations from afar. 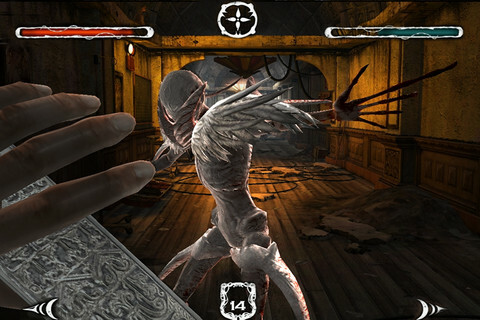 The second component plays similar to Infinity Blade, where you're able to dodge attacks by pressing left/right arrows (or a shield button with limited defense points), then attack via sword, frantically swiping the touch screen in multiple directions. Succeed, and you'll level up and score a modest amount of gold that you'll also find inside fire extinguisher cabinets, dresser drawers and other places. From there, you can purchase powerful swords, crossbows and amulets that boost health and defense; gold is also available through in-app purchase. For the most part, The Dark Meadow is a joy to play. The designers did an excellent job using Epic Games' Unreal Engine 3 to create a scary environment (viewed from the first person) overflowing with big and little details, from large hallways littered with debris to posters on walls. It is without question one of the best-looking iPhone and iPad games we've seen. What's more, the controls are easy to get the hang of. Although you cannot move freely within the world (as in most first person titles), tapping green icons to open doors and walk to specific areas works just fine. All praise aside, some tweaks would have made this title even better, starting with the results screen that appears after each fight. Knowing how much gold one's acquired after defeating a monster is important, no doubt, but pausing the game each and every time removes the player from the experience. In addition, we had issues scrolling between items. The jerky animation needs fixing. We also found it too easy to get lost and backtrack through the same areas. Monsters appear at random, so having to vanquish the same foes eventually grows a bit tiresome. That said, keep in mind that these are small issues compared to the grand scheme of things. The Dark Meadow has some warts, but it's still a hauntingly beautiful and intriguing game everyone should play, as it offers both a compelling adventure and a glimpse into the future of smart phone gaming. Requirements: Compatible with iPhone 3GS, iPhone 4, iPod touch (3rd generation), iPod touch (4th generation), and iPad. Requires iOS 3.1.3 or later. What's Hot: Unreal Engine 3 powered graphics, deep narrative, satisfying combat, universal download, plenty of weapons to buy. What's Not: Scrolling through items, the stats screen that appears after each fight, backtracking.